I have a child who has dyslexia. It is his drawing that is displayed on the right. He is almost 9 years old and has just completed the 3rd grade. This week, I am going to share our story and then offer some suggestions of ways to help children with dyslexia in the church. My son has always been homeschooled. When I was teaching him kindergarten, he had a difficult time remembering all the letter sounds and consistently got his b’s and d’s mixed up. Of course, I didn’t worry too much. I mean, after all, he was only in kindergarten . . . it would be easier for him next year. Well, the next year wasn’t any easier either. He did learn to read some, so I felt like he was making progress. However, he wasn’t doing nearly as well as his brothers had at that age but, hey, everyone knows that every child is different. He would get it the next year. At the beginning of his 2nd grade year, I decided I needed to try something different with him. I borrowed a book from a friend — one of those books that contains 100 lessons to teach your child to read — and I started the year with that. It seemed to help quite a bit, so when we finished that, we began the regular 2nd grade curriculum. He didn’t progress much in that at all. Enter 3rd grade. This past year. During my research on dyslexia, I discovered that many children are diagnosed with dyslexia in 3rd grade because they can no longer rely on context clues and pictures to figure out words. It was at the beginning of this year when I realized that my son was doing just that. He would guess words based on the pictures and the context so that sometimes he would say “lake” when the word was supposed to be “pond”, he was still messing up his b’s and d’s, and he often read words backwards. I became convinced that he indeed had dyslexia, so we started the long process of getting him tested, and in November of 2013, he was officially diagnosed with dyslexia. Of course, there were all sorts of emotions that accompanied that diagnosis. One was relief. It felt good to finally have a reason for his delay in reading — and to know that it wasn’t my fault. But another one was guilt. How could I have waited so long to have him tested? I knew there was an issue in kindergarten, why didn’t I do something then? This guilt was increased due to the fact that I homeschool. It was my responsibility to help my son and I dropped the ball. Well, I have gotten beyond the guilt now. In fact, the guilt has actually been replaced with a sense of pride — pride in the fact that I was already providing adaptations for my son, even before I had a diagnosis. Adaptations like reading all of his work to him, writing his sentences out and then having him copy from what I wrote down, and letting him draw instead of write to show what he had learned were commonplace in our homeschool. I had even introduced him to books on cassette (yes, he has a cassette player) and cd, and he had already “read” several books that way. To be honest, when you take reading and spelling out of the equation, my son is an excellent student. And then one day he came home from church and he told me, “Mom, I really didn’t enjoy church today. The game we played was a reading game and I couldn’t read it so I lost.” That got me to thinking about how dyslexia- friendly our churches are. Schools are required to provide adaptations for students with learning disabilities, but churches are not. However, churches should be going above and beyond — they should provide adaptations, not because they are required to, but because they want everyone to have an opportunity to hear and respond to the word of God. That is why I have come up with a list of ways that we can help our students who struggle with reading to not have to feel like they are struggling at church. My hope is that you will share this with the people who work with children at your church, and, if nothing else happens, at least it can get people thinking about ways to help. 1. Rethink worship. What do I mean by rethinking worship? Well, consider how we currently teach songs. In most cases, we just put the words on a screen and expect our kids (and adults) to read the words and learn the tune. What about those people who can’t read? They are hindered in their worship! We need to rethink how we teach songs. Perhaps the solution is as simple as providing a cd to the child with dyslexia so he can listen to it and learn the songs that way. Or maybe we need to teach the songs to our kids in a totally different way. I often teach music by having kids repeat the phrases after me several times until they learn it. Yes, it takes more time, but all the kids learn the songs that way, and, consequently, all the kids can confidently worship the Lord. 2. Always read everything outloud — even if the words are projected on a screen up front. It is true that there may be times when it is tiring to read everything. After all, if the words are up there, can’t people just read it for themselves and save time? Well, yes, some people can. But not everyone. There are some who will only be frustrated and will be left out of that part of the program if they are expected to read it for themselves. So take the extra time and do the reading for them. As a side note to numbers 1 & 2, let me suggest that you consider using nontraditional colors for your power point. Many dyslexics find that reading color is much easier than reading the traditional black on white. There is also a dyslexia font that you can utilize. It is supposed to be a font that makes it easier for dyslexics to read. It is offered free of charge. Google it! 3. Don’t rely solely on reading ability when assigning parts for a special program. Many times, special programs require tryouts and tryouts are conducted by having the kids read the parts. That will automatically exclude anyone with dyslexia. Dyslexics will never be able to read the part as well as the others if they are not given the opportunity to learn it first. My son is a very good example of this. His reading is, obviously, not very good. However, his acting is wonderful. I have assigned him parts that I know he can do and then helped him with those parts on his own. For both of the last programs we have done at our church, he has been the first one with his parts memorized and he has done a fantastic job. In fact, I never helped him a bit for the Christmas program. I just played the cd for him over and over and he learned his part on his own. Auditioning him solely by reading would have excluded him from any of the speaking parts. He would have been left out. 4. Don’t ever call on a child to read out loud without him volunteering first. This only embarrasses the child with dyslexia, and makes him not want to be in class. 5. Use a variety of teaching methods. You should already be doing this, so consider this a friendly reminder. The next time you plan your lesson, ask yourself if a child who struggles with reading would be able to enjoy it. If not, change some things around to make it more dyslexia-friendly. 6. Never use silent reading as a way to learn the lesson. Having your students read a passage of Scripture on their own and then answer some questions about it would be extremely frustrating for a child with dyslexia. Find another way to teach. 7. When you do have your kids read from the Bible, help your kids with dyslexia find and keep their place in the Scripture. I am a strong proponent of having kids use their Bibles in Sunday School. 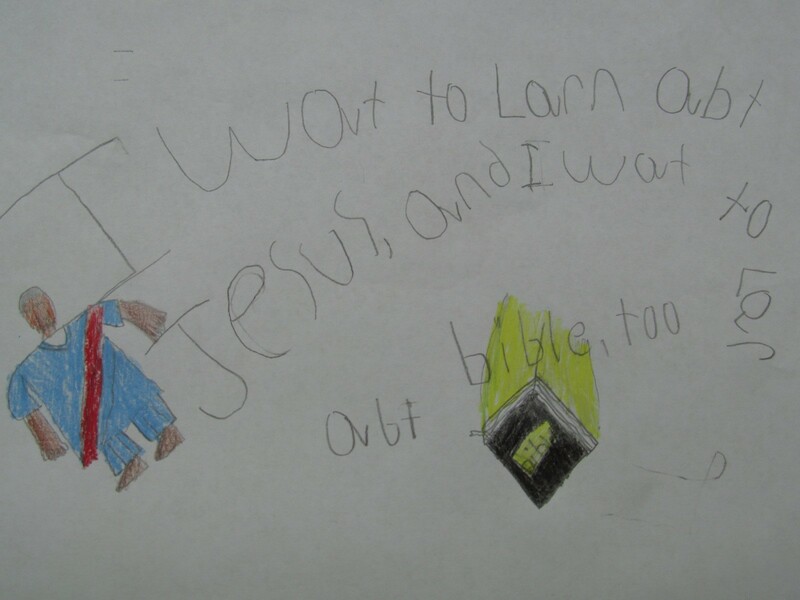 In fact, my Sunday School class reads directly from the Bible every week. However, I also have a couple of kids who have a difficulty with reading — my dyslexic son included. That is why I always help them find the passage of Scripture and then I stand behind them and point to where we are in the Scripture. I actually do this with my fluent readers, too. In fact, I am never sitting when we are reading the Bible. I am floating around the room, randomly helping students find and keep their places so that no one feels singled out and everyone receives assistance. 8. If your students need to take notes or write something down, write it down on a whiteboard AND spell it out letter by letter out loud for them. This helps dyslexic children tremendously! 9. Keep the lines of communication open with the parents. Many dyslexic parents are used to fighting for their children. They often have to fight school systems for adaptations and assistance. Sometimes they even have to fight for a correct diagnosis. They do not want to fight when they get to church. 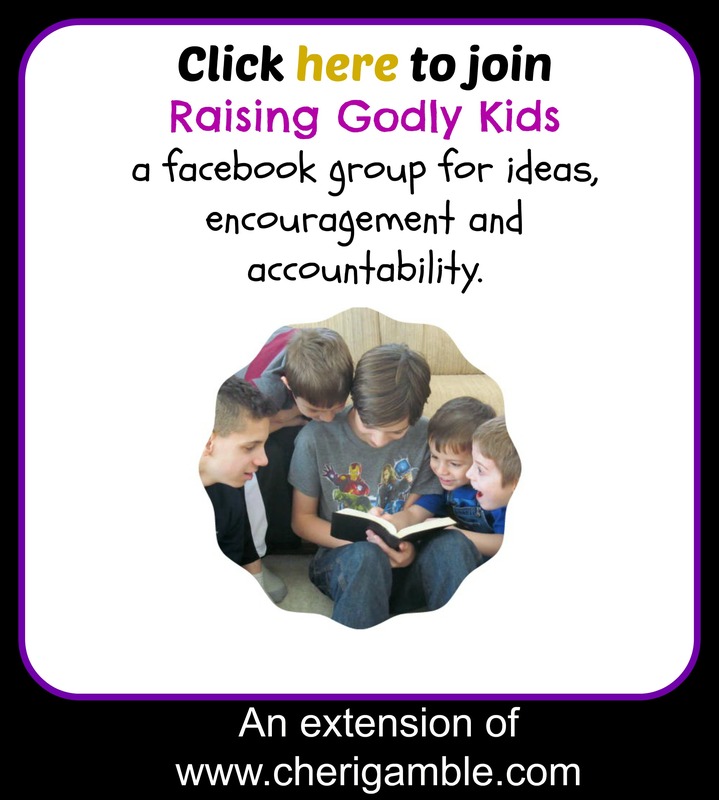 How refreshing it would be for them to find someone at church who truly cares for their child and who wants to help their child succeed in the children’s ministry. You have a great opportunity to minister to that family — ask the family how you can best help their child and then check with them frequently to make sure their child feels comfortable in your ministry. Let me encourage you to seriously consider your ministry and how you are reaching the students who learn differently. Jesus wants all people to come to him, and we need to be sure that our methodology doesn’t leave anyone out. I’m pretty sure that’s why my ds stopped wanting to go to AWANAS around 3rd/4th grade age – because of the reading. He loved all the games and other activities. That was well before we knew he had dyslexia and thought he was just a late reader, which is no big deal in homeschool-land. I figured he’d want to go back eventually. But he never has (just finishing up 5th grade).